While I have no intention of making this post a promotion of Whitlingham Country Park (I’m sure they’ve their own department devoted to it), I will agree that it makes an ideal destination for a family day out. Sailing, canoeing, rambling through woodland, skiing (on a dry ski-slope), cycling, jogging—picnicking—or just walking the dog. However, families were thin on the ground when I visited earlier this month—unless we include the aquatic kind. But that suited me fine. I was hoping to shoot some of Whitlingham’s wildfowl (with camera not gun). The Met Office had predicted a dry and warm day (for January), though they had also said of strong winds. They were right of the warmth. Having walked out from Norwich bus station, I detoured into Trowse woods hoping for the privacy to shed some of my unneeded layers (I had left home early that morning; it had been cold). Stripped down to basics (t-shirt, trousers and coat) I made use of the detour not only to grab some tree studies, but also to snap up some fungi. And then, wouldn’t you know it, just as I left the woods it rained. Not a shower either to be soon shaken off, but a proper downpour. Luckily, by the time I reached the park the café was open. Though I carry a flask of coffee on my walks in the winter, it was good to sit in the warm and dry and wait out the weather. 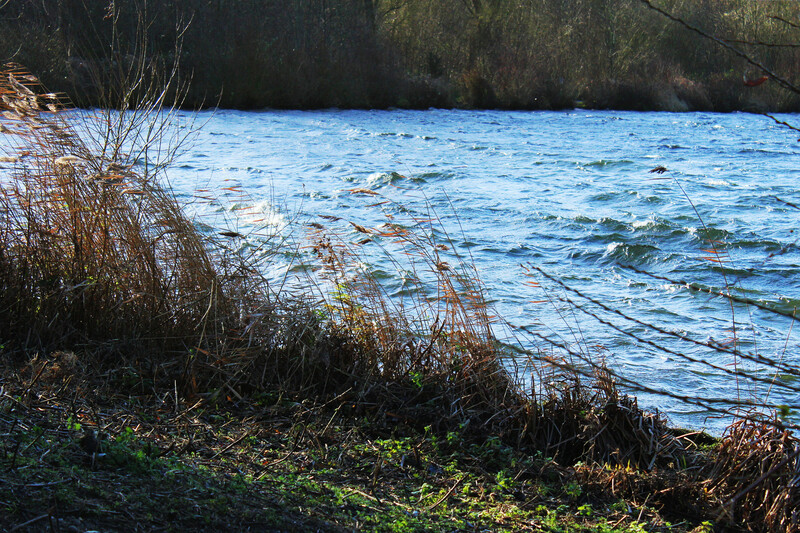 Although it’s called ‘Whitlingham Country Park, it’s in the neighbouring parish of Trowse. 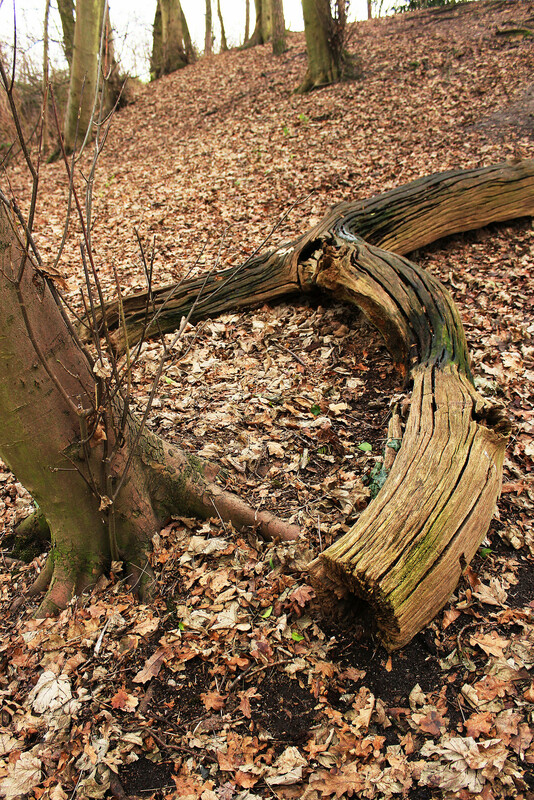 The Country Park itself has an interesting history, more so the parish. With an innate preference for orderly progressions, I’ll relay these history-bytes chronologically. Whitlingham: According to ‘kepn.nottingham.ac.uk’, this is ‘the homestead or village of Wihthelm’s people’. Not terribly exciting. The next one is better. Trowse: According to same source, Trowse was probably named for a lord’s hall, a ‘beam house’. Most likely a mead hall. hūs (Old English): a house, or a building used for a special purpose. It’s possible the origin of this name dates back to the earliest Saxon settlers in Britain, evidence of which is found at nearby Caister St Edmunds. This, sited beside the then-navigable Tas, had been the site of the Roman Venta Icenorum. 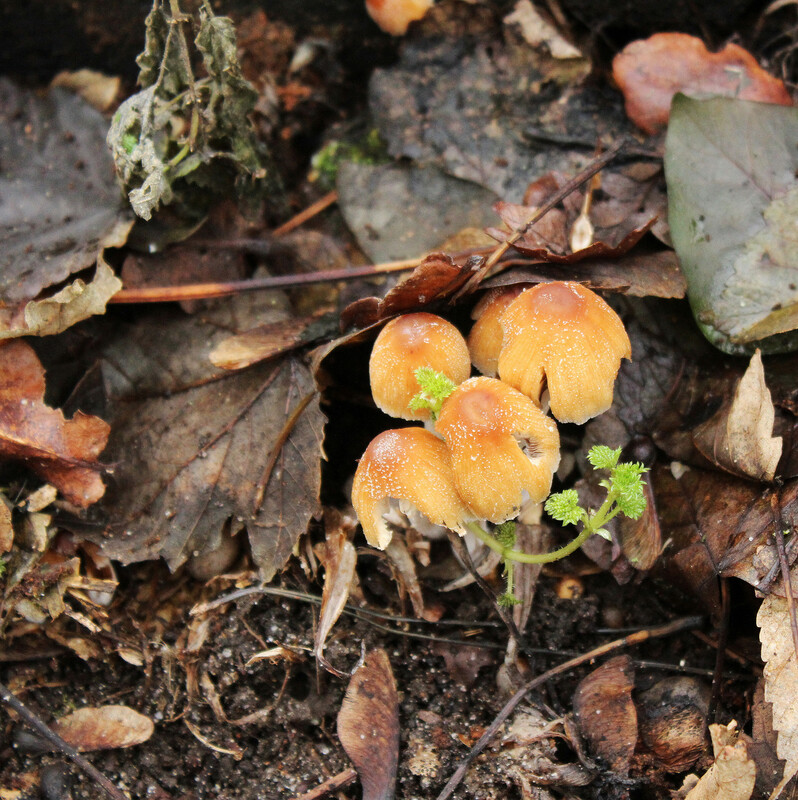 An early Saxon cremation cemetery is found alongside it. With the Romans withdrawing, and pirates marauding upriver, it’s easy to imagine the local elites, left weaponless by Roman colonial policy, hiring Saxon mercenaries to defend them, body and property. The leader of such a warband might then become the local lord. It takes no stretch of the imagination to see him building a ‘beam house’ or mead hall downriver at the confluence of the Tas and the Yare. Pure speculation, I admit. 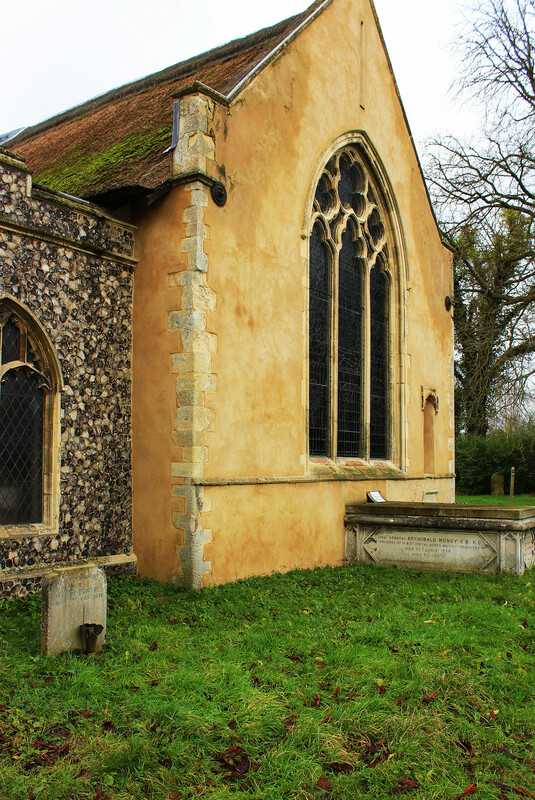 Yet by 1086, and the Domesday Survey, Trowse had become the most important parish of Henstead Hundred (see Hundred on wiki for explanation of this administrative division); Domesday Book records the manor at Trowse as part of the King’s Lands (he had a burgess of Norwich residing there). It was the site of the hundred court until 1272. 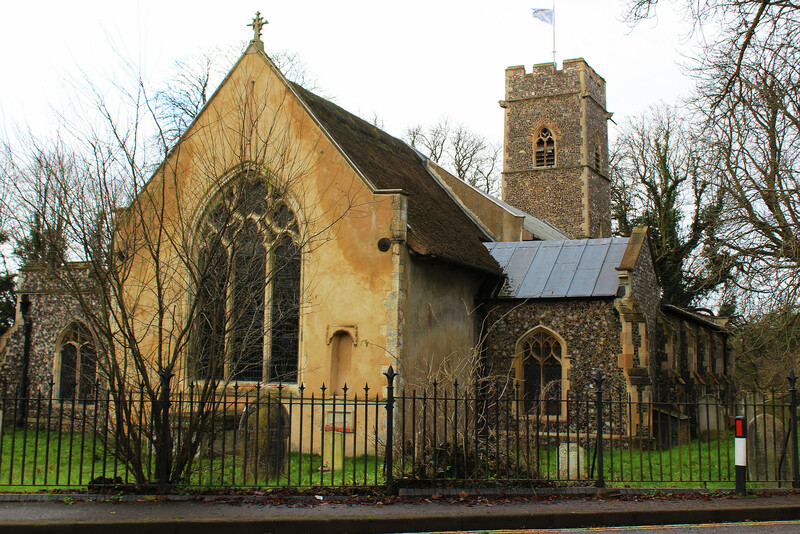 In 1285, the jury presented, that the bailiff of the King’s hundred of Henstede always held his hundred court at Trowse, till within these 13 years past, when he was inhibited so doing by the Prior of Norwich, lord there, under pain of excommunication; and it being found to be one of the Prior’s manors, enjoying the privileges of the church, and that this was no damage to the Crown nor country, the inhibition was confirmed. Unfortunately, Blomefield doesn’t tell us how the Prior of Norwich came by this manor. Nor does William White in his 1845 Whites Directory of Norfolk. Since the entire of Newton and part of Trowse had been in the keep of Norfolk-born Stigand (archbishop of Canterbury, 1052-1070) until either his removal from office in 1070, or his death in 1072 when the land was taken into the hand of King William I, I can only guess that someone at Norwich cathedral petitioned the Crown to have returned to them what was considered rightfully church property—since in 1205 this land was made over to said cathedral. Now, in 1205 the prior at Norwich was one William de Walsham—not exactly a star that lights up history. However, the bishop of Norwich at that time was one John de Gray. John de Gray was in service to King John—and he served his king well. He lent the king money (and King John was always in need of money), and undertook several diplomatic missions. As reward, he was appointed to a series of ecclesiastical offices, culminating in his election as Bishop of Norwich. But there was more to come. He was elected as archbishop of Canterbury. Unfortunately the pope disallowed it. However, one can imagine that the return of former church lands might have been considered suitable recompense. 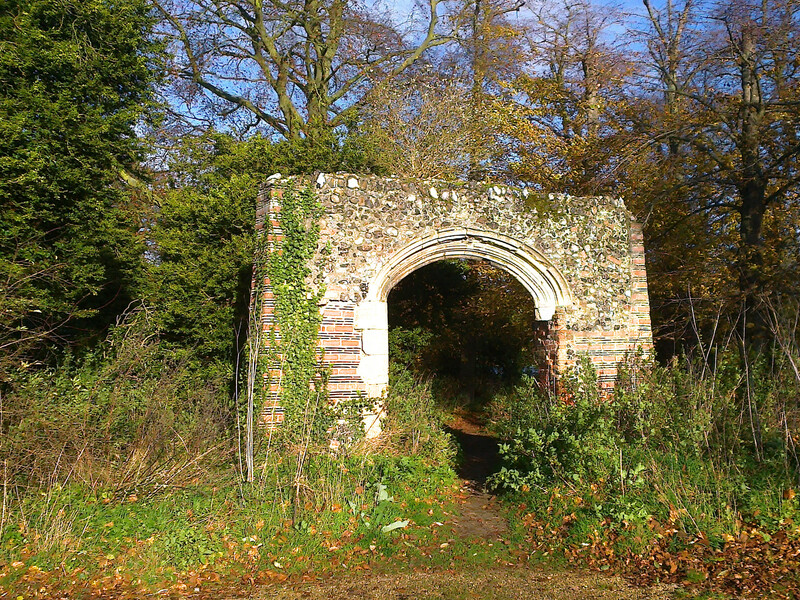 Trowse-Newton Hall, which ruins can still be seen (though not of the original C13th building)—see photo below—served as a country seat for the Priors of Norwich. It also received royal visits—King Edward III and his queen, Phillipa in 1335. The hall continued to be used by the cathedral even after the Dissolution—by then as a deans’ retirement home. But by 1850 it had become no more than a lowly farmhouse. 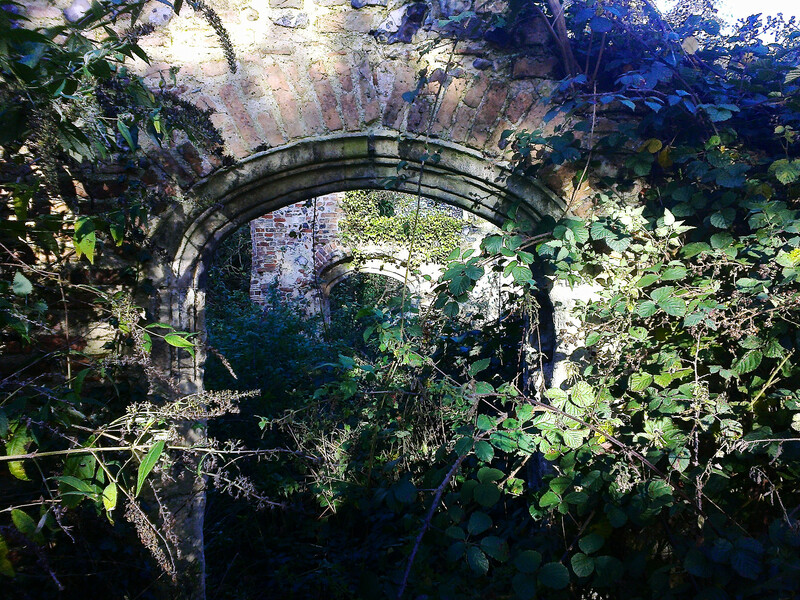 And so, with the Victorian rage for all things Gothic, it was intentionally ruined—‘Isn’t it just too much, our very own Gothic ruins!’— by Sir Robert Harvey, the new owner of Crown Point hall and estate. In 1865 the new owner of Crown Point estate, Sir Robert John Harvey, had the hall restyled. But he and his family weren’t long in residence. Following Sir Robert’s suicide, in 1872 the hall with its extensive park was sold to the Colman family—whose mustard factory was, and still is, (though now owned by Nestle) situated at nearby Carrow. The Colman family off-loaded the hall in 1955. For a while it was known as Whitlingham Hospital, a home for the elderly. It has since been converted to flats. As to the wider estate . . .
As can be seen on the 1881 map with the Park overlay (below), Whitlingham Country Park barely scratches the boundary of that parish. But then, it wasn’t named for the parish but for the lane across which it straddles: Whitlingham Lane. I remember that lane from way back in my teens. It was the favoured haunt of lovers—young, or adulterous, or some reluctant. So few houses. Not at all overlooked. Not a through-road except via the sewer-works. Park up by the marshes and watch the lights of an occasional train, like fairylights in the night. Very romantic. There was nothing but marshes in those days—grazing land. Though to me at the time it looked more like waste-land (I hadn’t yet developed a liking for walking the marshes). But Norwich was a growing city, with growing needs. Pressures on land. Pressures on roads. There was already a ‘ring road’, intended to help ease traffic congestion. But that wasn’t enough. Norwich sits at a crossroads, east-west, north-south; it owes its very existence to that. What was needed was a bypass to divert through-traffic, away from the city centre. But a bypass is a wicked gobbler of sand and gravel. Ha! Luckily, there was some to hand. Beneath the empty-seeming marshes was an abundance of aggregates, deposited during the Ice Age. Quarrying these was no new idea. Look at the map; those tan coloured areas denote various earlier aggregate diggings. But what happens when you dig a deep pit close to a river? Well, I knew the answer to that, for I used to go fishing with my brother at Costessey Pits (the flooded remains of former gravel workings beside the Wensum). It’s how the Broads were formed, too, though there it had been peat diggings. It can’t be denied, it was a smart move: to turn a major site of gravel extraction into an attractive leisure resort. Poetic, really, considering the Park is bounded by that very same road that gobbled up the extracted sand and gravel (the Norwich Southern Bypass). Of course, it’s common-place now, but less so then. And, though there is no entrance fee, an income is gained from the various activities. Nothing wasted. Very ‘Green’. Of course, you get the wildlife for free. And that’s what had attracted me. The weather cleared. The sun shone bright. There is a ‘lawn’ beside the water, close by the café. Of course, no one would dare to feed the ducks. Yet the ducks and geese and swans do seem to congregate there. Maybe it’s just that there is easy access to the shore. With fingers crossed for at least one good shot, I made my way there. 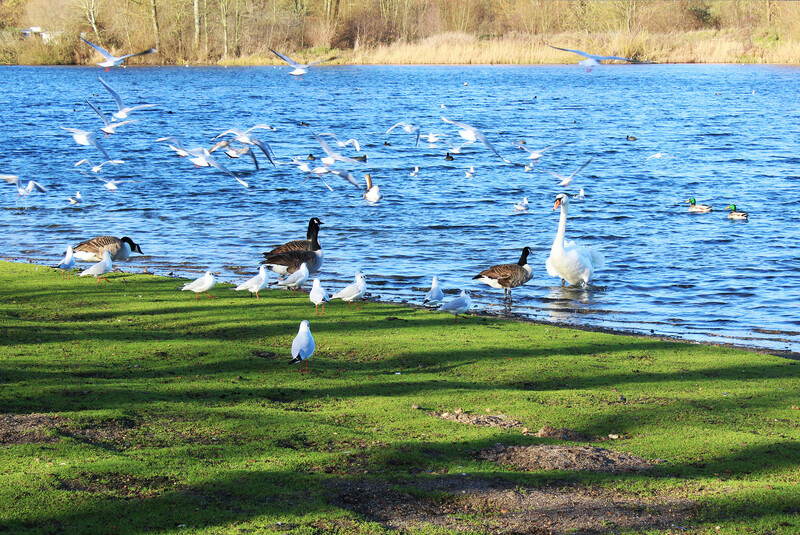 Swans, Canadian geese, black-headed gulls in winter plumage, various ducks . . . oh joy! I trained the camera on that swan and kept the button pressed for a ‘burst’. He thinks he’s a fully paid member of the actor’s union! 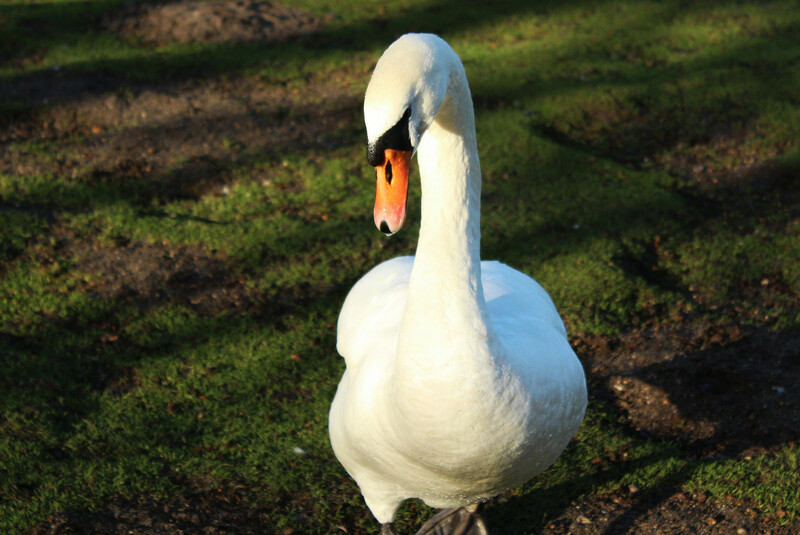 I took 15 photos altogether as this swan emerged from the water and waddled towards me. I hadn’t realised how close he was until, all of a sudden, I can see the water droplets on his feather, all rainbow-like and prismatic. 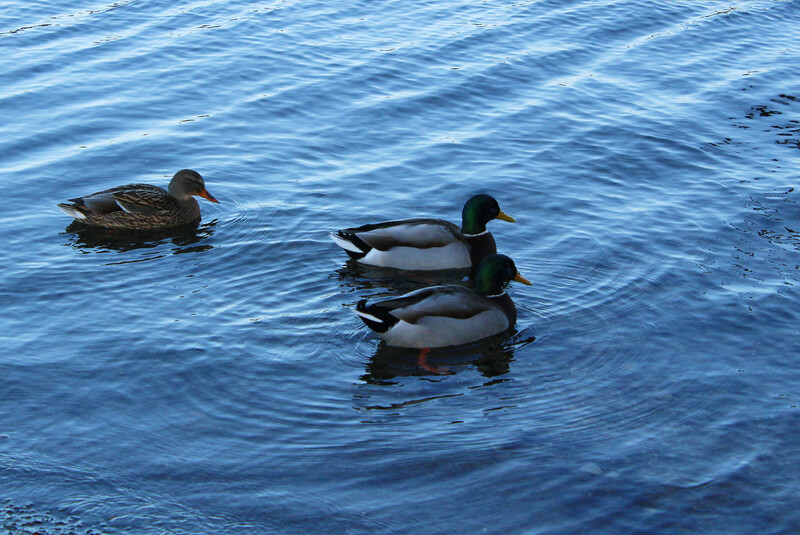 Of course, I did find other birds to shoot: ducks—the ubiquitous mallards, and some black-and-white tufted ducks. There were also some pochard but they didn’t come close enough and my camera hadn’t the range. 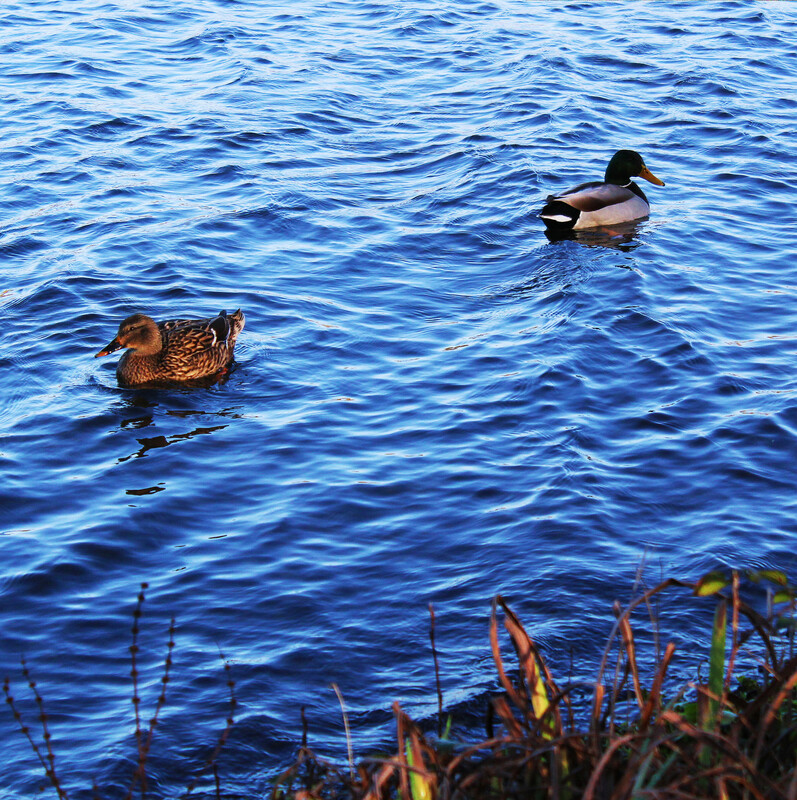 Mr and Mrs Mallard . . . had a tiff! And then, as I rounded the end of the ‘broad’, the wind blew! 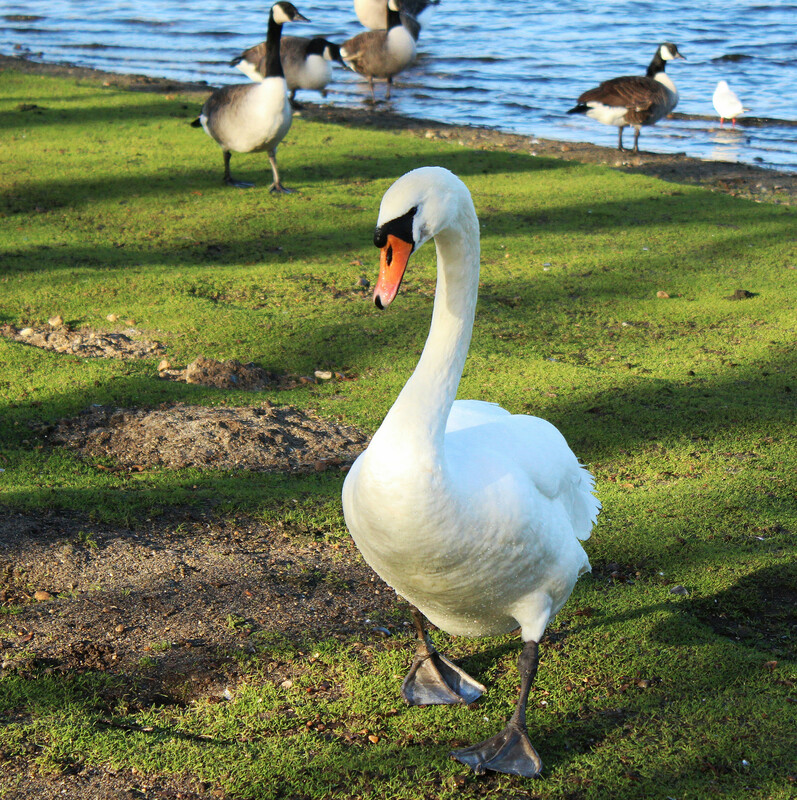 Although Whitlingham Country Park has definite charm, and is in easy walking distance of the centre of Norwich, there are also drawbacks to being so close. Trains, both passenger and goods, rattle along the nearby tracks. And although usually muted, depending on wind direction, there can be a constant hum of traffic. And then there are these . . . Some will say these mar the skyline. 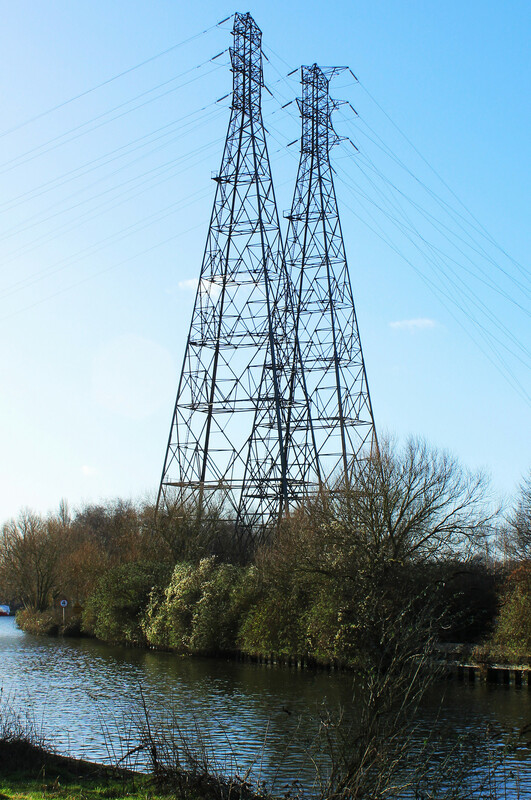 For myself, I like pylons, majestic structures from the last century. This entry was posted in History, Photos and tagged birds, Countryside, Local History, Maps, nature, Photos, Walks. Bookmark the permalink. Second, I had to laugh when I googled the park’s name: it took me to a site whose URL name is “enjoythebroads.” Guess they were thinking of that lover’s lane you mentioned. And that reminds me of an article I was commissioned to write for a Norfolk Tourism brochure. So I put the finished article through a spell checker, but of course it was American English. It advised me to change the word ‘Broad’ as it was derogatory term for a female. Yea, but it’s also the Norfolk word for one of Norfolk’s most iconic features. Though, technically Whitlingham isn’t a ‘broad’ since it isn’t a flooded pit digging. It is a pit, the same as Costessey Pits are pits: flooded gravel quarries. There is a major difference in vegetation and probably in quality of water. And of course, that broad didn’t exist when the guys in the area enjoyed the other kind of broads along that lane! Is there still a railroad, even if not operating, at the station in Carrow you photographed? Yep. I’d say so judging from the frequent metallic rumbles and glimpses of goods trains. But it is only goods. The yard there used to be lined with cattle pens (taking the beefs grazed on sweet Norfolk grasses to the mass markets in London. Now, judging by the shapes seen trailing the engine, maybe something liquid: they looked like tankers. But there were industrial noises most of the time I was there. Hard to tell where it comes from: the valley sides reflect and distort. And I hadn’t at that time spent a whole week drawing that map. I am now very familiar with the terrain . . . in 1881! As you know, a favourite fantasy of mine. Do you reckon I was HG Wells in a different lifetime/universe? And BTW, more ancestors from this area, from Whitlingham. One Mary Witterick b.before 1770. Witterick, of course, is a corruption of Wihtred. Perhaps the family took their name from the same chap who gave his name to the settlement? Which I highly doubt. Yet it is one of the earliest attested Anglo-Saxon names. It kinda makes me feel grounded in this landscape. And seeing how Judy also loves time-travel and other things that mess up the continuum . . . someday I’ll have to write such a story. Someday. In another life, in another universe. BTW have I yet told you I’m making GD another time-slip story? And with that decision, it’s suddenly come to life. But it’s going to take some writing, so I shan’t be ready to post immediately when KW ends. Well I have now. Currently researching . . . certain aspects, while jotting down notes regarding plot and characters etc. I’m buzzing. It’s good. The buzzing I mean. Though I think you’ll enjoy the story, too.